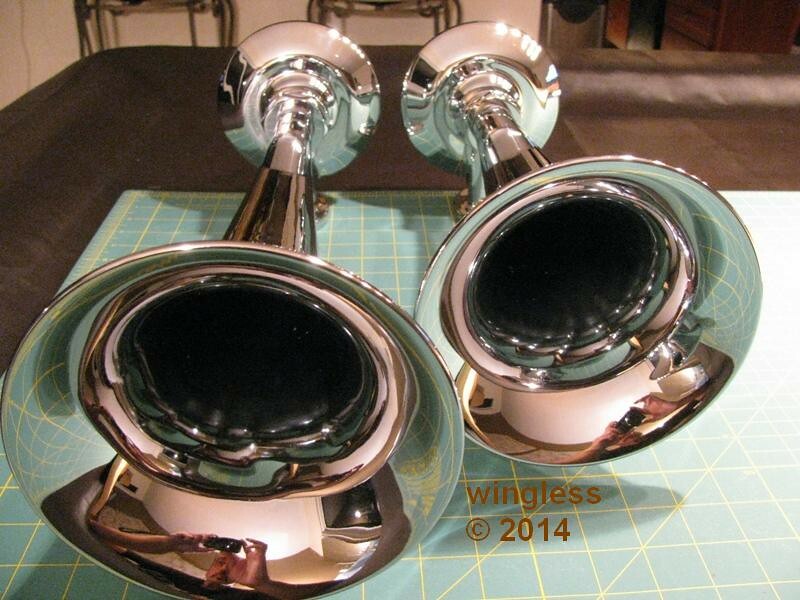 The horns were polished and now look outstanding. 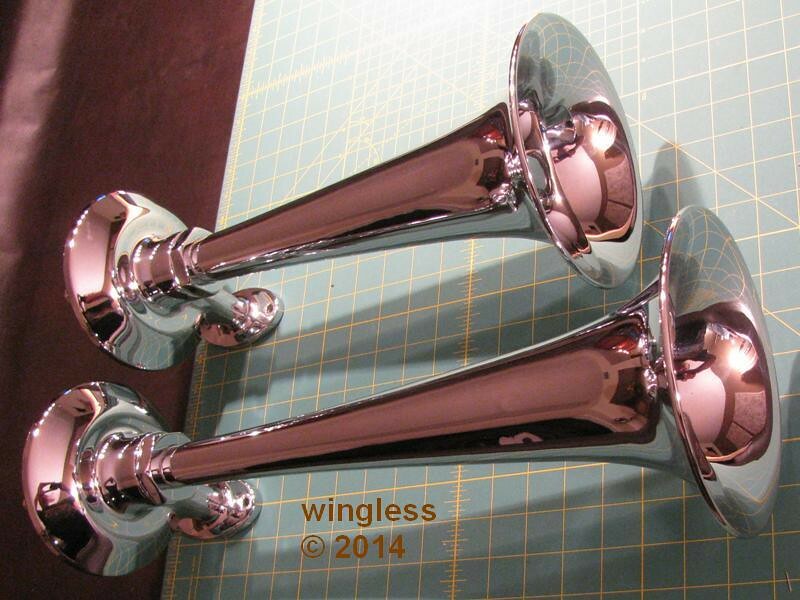 Boy, does Kahlenberg do a great job on chrome horns! A cream metal polish was used and polished by hand (skin), rubbing in the polish to restore the finish. A soft rag was used to buff away the polish. A rag was taped onto a narrow fiberglass rod to polish the depth of the trumpets. 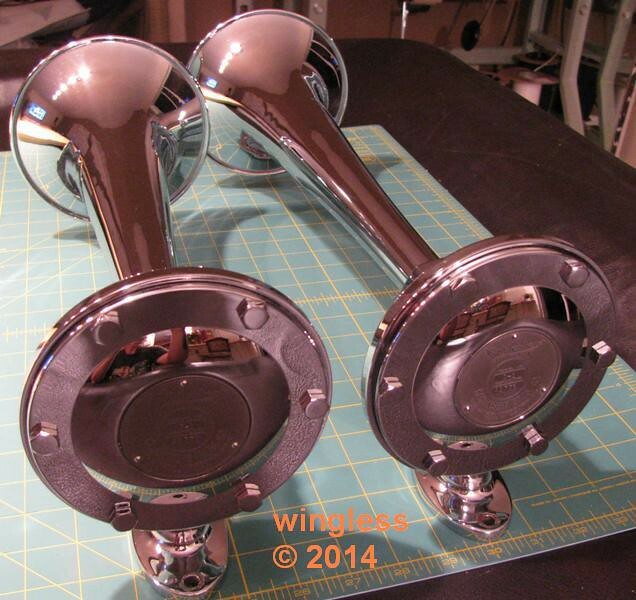 There are some minor blemishes, but those only show up during the polishing. These will not be observed when mounted. These will be some serious eye candy on the boat. The new Kahlenberg Chimetone D-1 air horns includes a mounting base. I priced replacing that base from Kahlenberg, but after doing a dry fit on the boat, I've decided to not get / use that missing part. It will be a MUCH better solution w/o that base. The arch has a curved top surface and the base is flat. The fiberglass / gelcoat arch is thick enough, plus I am going to use a ¼" thick aluminum interior backing plate. This mounting method will be plenty strong. These horns will be there for the duration.